Imagine a customer of yours who doesn’t know how to select, prepare or store the fresh healthful produce that you are growing and offering for sale. How likely is it that they will buy that product? Or buy it twice? What are we doing at the point of sale to encourage that purchase? 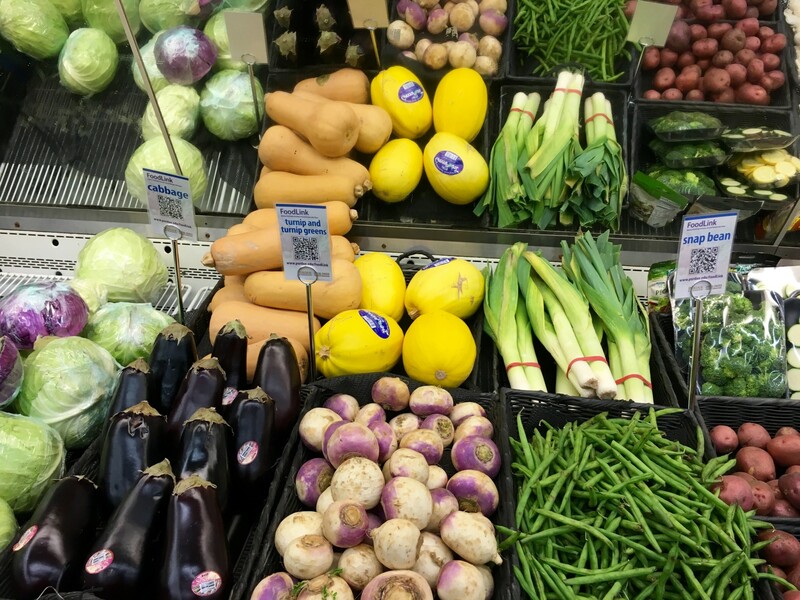 Your produce may be cosmetically perfect and 100% healthful but is it able to communicate to the customer anything about its selection, use or how much their family will enjoy it if prepared properly? Most every packaged, ready to eat, value added product in the grocery store is designed to convey these messages in a loud and clear format…Have you seen the breakfast cereal aisle in the grocery store lately? Those products are conveying an undeniable “BUY ME” message and they are directly competing for customer dollars with your silent but beautiful (and healthful) produce every day. There is no single answer about how to step up to the competition… it is a variety of tools and techniques all implemented on a daily basis throughout the year… not the least of which is the trust that your customer has in you and your ongoing efforts tomotivate and educate them about good food! No one does it better than you! Do you have a recipe for apple crisp? How can I prepare one ear of sweet corn? How do I take the crystals out of my honey? What in the world do I do with Kohlrabi? FoodLink is a FREE tool that should help answer some of your customer questions! Just cut and paste the QR codes into your marketing and promotional materials, or simply post the appropriate QR code card alongside of the product. Where ever the code is… the consumer can access basic information (including recipes) directly from their cell phone. The code can be attached to the fruit itself…placed in your local advertising in the newspaper or blown up to billboard size…Some have even used QR codes as the design of a corn maze!!! Perhaps you want to be the first to incorporate food education into a Hoosier Corn Maze!!! Children would love to navigate via their smartphones… and they might learn something along the way! We can help! If you are already using FoodLink in the farmers’ market, a roadside stand, on your packaging materials or in the on farm market… then THANK YOU!…I would love to hear of your experiences and see pictures! If not… and once again as the market season begins to build steam you find yourself answering a never ending array of customer questions about how to select, use, prepare, serve, and preserve our many Indiana grown specialty crops… fruits…vegetables…herbs and honey then my hope is that FoodLink will serve to save you time in this regard and hopefully increase consumer knowledge about the great crops that you are growing and selling…If they know more about them… my hope is that they will buy more!!! Foodlink’s use is limited only by your imagination to help market your crops. FoodLink will provide not only recipes for each crop but will link users directly to Pinterest for many additional popular uses. FoodLink is growing, changing and evolving and we welcome your suggestions… large or small about how to make it a better tool for you. Remember… You do not need to understand how to use a QR code but MANY of your shoppers (and their children) will…That is the important thing! New in 2018 we have a dozen quick and easy recipes (3 for each season) both on video and as a full color booklet…That’s right… those are FREE also…we will let FoodLink enrollees know how to order these. Additionally… FoodLink enrollees will have their market identified on the online map to help folks find you….that’s right… NO COST!